Bowalley Road: Building an “Active Democracy” through “Constructive Engagement”. Chris Trotter responds to John Minto. Building an “Active Democracy” through “Constructive Engagement”. Chris Trotter responds to John Minto. Woman In The Hot Seat: New Zealand needs to develop new relationships with the countries of the Pacific Rim. And those new relationships need to be based on progressive ideals, mutual protection and solid economic self-interest – with the latter being underpinned and facilitated through mutually beneficial multilateral trade agreements. Throughout history, trade and peace have marched hand-in-hand. New Zealand diplomacy needs to reflect that fact. “UNBELIEVABLE! WRONG! IDIOTIC!” One of the many admirable qualities about John Minto is that he never leaves anyone in any doubt about where he stands. His rejection of the strategy of “constructive engagement” with the Labour-NZ First-Green Government is unequivocal. For John, only “active democratic opposition” to Labour’s rather tentative embrace of the Comprehensive and Progressive Trans-Pacific Partnership (CPTPP) will suffice. In spite of the fact that barely thirty days have passed since Winston Peters anointed Jacinda Ardern as New Zealand’s first progressive prime minister in nine years, John is ready to call the Left onto the streets in protest at her government’s refusal to walk away from the CPTPP. The withdrawal of the United States from the TPP has fundamentally weakened the agreement and prompted its signatories to set in motion a plethora of revisionist initiatives. In the absence of the US, most of the worst clauses of the TPP are in abeyance until the Americans are ready to return to the fold – at which point the remaining signatories are practically certain to demand their renegotiation. True, the hated Investor/State Dispute Settlement (ISDS) provisions stand part of the new CPTPP, but only in an attenuated form, and with a majority of the signatories actively pursuing bi-lateral “side agreements” intended to render them toothless. These agreements are evidence of the growing global effort to diminish the power and scope of corporate interference in the affairs of nation states which the ISDS processes represent. This resistance to corporate power is not limited to “working people around the world”, as John suggests. On the contrary, it is being spearheaded by the same national governments which were forced to bail-out the delinquent financial institutions responsible for the Global Financial Crisis of 2008-09. Donald Trump, himself, is a fierce opponent of the ISDS provisions of multilateral trade agreements – quite rightly perceiving them as a threat to United States’ sovereignty. John is insisting that Jacinda’s government lop-off the ISDS provisions as some sort of grand anti-corporate gesture. She and her advisers, wisely in my view, are content to let them wither on the vine. The Coalition Government’s circumspection in regard to the CPTPP is admirable in another, very import, respect. It indicates the Labour-led Government’s determination to avoid being drawn into the looming geopolitical stand-off between the United States and China. 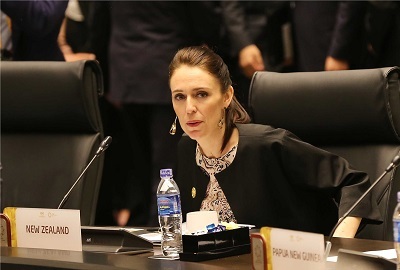 Many New Zealanders would have noticed the diplomatic bonding that took place between Jacinda and the Canadian Prime Minister, Justin Trudeau, in Danang and Manilla. This relationship is important – especially in the light of Australia’s recent, heavy-handed pushback against Jacinda’s Manus Island initiative. The new government is clearly looking to build diplomatic relationships untainted by America’s and Australia’s aggressive geopolitical ambitions. Wooing Canada is a good start. If followed by a strengthening of New Zealand’s relationships with the peoples of South America, it may allow us to “respectfully decline” to participate in Donald Trump’s, Shinzo Abe’s and Malcolm Turnbull’s “Indo-Pacific Strategy”. With Australia as its southern pivot, the Indo-Pacific Strategy envisages the United States, Japan and India running a two-ocean-straddling policy of economic and military containment against the People’s Republic. This is not a strategy New Zealand should have any part of, and yet, as John rightly points out: “The big Australian banks have been [plundering our economy] for decades. In 2015 for example the BNZ, ANZ, ASB and Westpac took over $4.4 billion in profit from this country.” New Zealand needs to prepare – and quickly – for the day when it may need to unequivocally distance itself from the increasingly bellicose policies of the US, Japan, Australia and India. When that day comes, the Australian bullying we have witnessed over the past week will be made to look like child’s play! New Zealand needs to develop new relationships with the countries of the Pacific Rim. And those new relationships need to be based on progressive ideals, mutual protection and solid economic self-interest – with the latter being underpinned and facilitated through mutually beneficial multilateral trade agreements. Throughout history, trade and peace have marched hand-in-hand. New Zealand diplomacy needs to reflect that fact. Is the CPTPP perfect, John? Of course, it isn’t. But, it is a substantially different document from the TPP-11, and the original TPPA. Rather than see the as-yet-unsigned agreement as a reason to get out and protest on the streets, it is my contention that we should view it as an opportunity to construct a new, progressive consensus about New Zealand’s place in the world – one which eschews the dangerous ambitions of our larger neighbours. It seems to me that Jacinda has already caught a glimpse of this radically different future, and she is as determined as we are to reposition New Zealand in a way that keeps its people safe, prosperous and independent. My term for this drive towards a new consensus encompassing New Zealand’s diplomatic, military and economic future is “constructive engagement”. John might prefer to call it “active democracy”. Whatever its name, I do not believe it is in any way unbelievable, idiotic or wrong to call for a united front of progressive activists on the ground, to complement and energise the united front of progressive parties – Labour, NZ First and the Greens – in Parliament. This essay was originally posted on The Daily Blog of Tuesday, 21 November 2017. Chris ... within regional/rural New Zealand the NZ First demographic would balk at your descriptive of them being a 'progressive party'. To them 'progressive' is a dirty word. Funnily enough, I was at a dinner party in The Hawkes Bay recently. You are not wrong, my friend. As a young adoptee, it's 'Hawke's Bay'. Look forward to the native, John Minto's response. May I add to your litany of current developments the EU27's increasing emphasis on FTAs that enshrine consumer, labour and envionmental protection and court-based dispute mechanisms. We should have our own deal with Europe done and dusted almost before the foolish Brexitanians are in a position to start proper negotiations. The EU, Canada and countries such as Chile are exactly the places we should want as trading partners and friends. What do they have in common in addition to enticing markets and business opportunities? : the rule of law, democracy, human rights and a commitment to multilaterlism. And, despite Abe, I'd add Japan to the list, as well as South Korea. Above all, we need to avoid crude choices between Washington and Beijing, with neither of which we have much reason to be over-comfortable. There are some relevant points to note. Japan, Malaysia, Singapore, Vietnam, Mexico and Canada are primarily manufactures of tertiary "added value" products such as electronics, electrical goods, vehicles etc. Brunei, Australa, Peru and Chile are economies based on the export of high value commodities such as oil, ores, precious metals etc. Which leaves New Zealand with nearly two thirds of its exports dependent on agricultural primary products. All CTTPP members apart from New Zealand, Mexico and Canada already export more goods than they consume. Of all the CTTPP countries, the demand for the exports NZ is dependent on flogging is so low that it hardly surpasses 1% of imports for any of them. Two thirds of the signatories have minimum wages more than half that of ours - in fact, Australia is the only country with a higher base wags. As all of these countries' goods will be accorded "Country of Origin" status here - meaning no privedges to our own employers and no restrictions on imports - it all adds up to an extremely bleak outlook for this country and its working people. If New Zealand can't restrict imports and outbound capital flow and is committed to local businesses having to compete with goods made by workers with drastically lower wages than our own - how can we ever hope for things to economically improve? Well asked Loz. It just accelerates speed on the downward slope we have been on so long - how can we put a wedge in and can we find a different way forward?